THE 4th Global Entrepreneurship Summit (GES 2013) in Kuala Lumpur from Oct 11-12 was a big enough success by most counts that US President Barack Obama’s absence went nearly unnoticed. Dogged by some organisational issues – booking confirmations in the days leading up to the event being one complaint – what was perhaps the most audacious iteration of the annual summit made enough of an impact that many delegates were impressed by the scale and vision. Quite a number agreed with US Ambassador Joseph Y. Yun’s assessment, made a couple of days before the summit proper began, that Kuala Lumpur had “taken GES to the next level” by not just focusing on the summit, but by also holding a number of related and satellite events to take advantage of the fact that the capital city was playing host nearly 4,000 policy-makers, business and management leaders from more than 120 countries. Still, the most consistent criticism was that not enough had been done to draw in Malaysian entrepreneurs who would have the most to gain from the networking at the summit itself, though many of the satellite events met that need. There was the Global Startup Youth event, organised by StartupMalaysia.org which put together 250 youth from more than 100 countries with 250 young Malaysians and gave them three days to come up with apps that could help solve the world’s biggest problems. Their energy and enthusiasm made enough of an impact that US Secretary of State Senator John Kerry, who was there on behalf of Obama, called out to them in his keynote address. 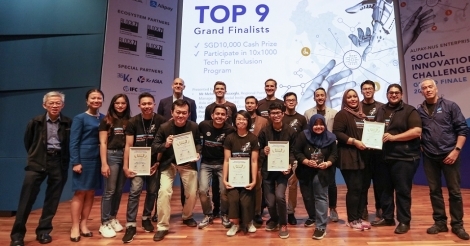 There was the Ideas2Invest pitching session organised by Cradle Fund Sdn Bhd and Angels Den Asia, which according to a participant, saw two of the seven finalists get immediate pledges of funding, a development Digital News Asia (DNA) will be following up on. ‘GES week’ also saw the CIO Leadership Summit organised by the National ICT Association or Pikom; the launch of Microsoft Malaysia’s Innovate for Good youth empowerment programme; and MDeC’s own MSC Malaysia Cloud Conference, amongst others. MDeC also announced it will collaborate with the Malaysian Venture Capital & Private Equity Association (MVCA) to launch Deal Quest, a platform that would give local businesses the opportunity to attract investments from both local and regional venture capitalists and private equity players. “We’re quite overwhelmed by the level of support we got,” Dr Mohd Irwan Serigar Abdullah (pic), Secretary-General of the Ministry of Finance, the main organiser of GES 2013, told reporters after he officially closed the summit. “I hope this won’t be a one-time event, and I’m hoping that next year, other global entrepreneurship types of summits can be organised too. There was one suggestion that, like the annual [World Economic Forum] Davos meeting, Malaysia can organise a similar annual event on entrepreneurship. “We will study this suggestion – perhaps, when you look at the region, Malaysia is well-suited to be a hub, with the entrepreneurship developments we have going here, including the establishment of the Malaysian Global Innovation and Creative Centre or MaGIC in Cyberjaya,” he added. In his keynote address on Oct 11, Malaysian Prime Minister Najib Razak had announced the country’s intention to set up MaGIC as a one-stop entrepreneur centre. “The Centre will be a one-stop shop for entrepreneurs – with everything from getting financing from banks or venture capital to incubators for developing startups; from intellectual property registration to facilities for training, coaching and mentoring,” Najib had said in his keynote address. “It will be an independent body that will act as a one-stop centre for all kinds of entrepreneurs – not necessarily just high-tech and those related to ICT, but also entrepreneurs dedicated to the services sector, agro-based products, logistics and so on,” Irwan told reporters when asked for details. He also cautioned that it has not been decided yet as to which agency would oversee MaGIC, adding that it was misreported that it would come under national ICT custodian the Multimedia Development Corporation, which oversees the Multimedia Super Corridor (MSC Malaysia) project to develop the ICT industry and the Digital Malaysia programme which seeks to transform the nation into a digital economy. “That has not been decided yet; we will have to study the matter further, but it will probably be an independent body operated by entrepreneurs themselves, for entrepreneurs. “We will select from the private sector … an entrepreneur who has been successful,” he added. Irwan said the final form MaGIC will take would be made known when Najib announces the federal budget for next year, including the amount of funds that will be allocated for it. The Budget 2013 address is expected on Oct 25. “We hope to see the centre established by next January – we have already identified the building in Cyberjaya, and we will need to do some internal renovations to prepare it,” he said. “It will have classrooms, incubators, space for a patenting office, bankers and venture capitalists – all under one roof,” he added. The next GES will take place in Morocco. The establishment of MaGIC was not the only development at GES. Kerry also announced three initiatives. The first is that the US State Department and UP Global will collaborate to support and train 500,000 entrepreneurs in 1,000 cities around the world, including Kuala Lumpur, by 2016. UP Global was formed in 2013 when Startup America Partnership and Startup Weekend joined forces to build on their strengths and networks to assist entrepreneurs at home and abroad. Corporate Connections: A platform that builds connections between startups and corporations based on shared goals and industries. The platform allows startups to develop corporate partnerships, mentoring relationships, client and vendor relationships, and licensing opportunities in new and meaningful ways. UP Global said it will work with the US State Department, with the help of the Department of Commerce and USAID, to bring programmes like these to new corners of the planet, tailor them to the needs of specific communities, and help secure the resources and network to bring these efforts to life. “The second initiative we’re going to launch will connect these entrepreneurs with mentors who can show them the ropes – because as you know better than anyone, starting a business is a daunting task,” Kerry (pic) said in his speech. By the end of the year, President Obama will announce the inaugural members of the President’s Committee on Global Entrepreneurship. US Secretary of Commerce Penny Pritzker will lead this committee of role models who are going to act as partners, teachers, and as champions for a new generation of success stories, he said. The third initiative will see “President Obama joining forces with organisations like the Kauffman Foundation, the World Bank, and others in order to create a new research network that will help policymakers promote growth and startups. “When President Obama announced the creation of this summit in Cairo four years ago, he did so because he understands that freedom of opportunity is humanity’s most powerful motivator. “This is true for all people, regardless of geography or gender, regardless of race or religion. It always has been true, and I’ve got news for you: It always will be,” said Kerry. “President Obama also understands that entrepreneurship is about so much more than profits. It’s about how you build a society that values competition and compassion at the same time. “So much of the work that we’re doing together isn’t just about making money. It’s about making people’s lives better through education, healthcare, and basic human rights. “And just as there’s nowhere better to talk about innovation than here in Malaysia, there is no one better to talk about innovation than young people. As they say in Bahasa, ‘Melentur buluh, biar dari rebung nya’ (To bend a bamboo, start when it’s still a shoot),” he added. While Obama’s absence was a disappointment to some – he would have been the first sitting US President to visit Malaysia since Lyndon B. Johnson in the 1960s, according to embassy officials – Kerry impressed Malaysian delegates by peppering his speech with Bahasa Malaysia sayings and Malay proverbs. “To everyone gathered at this summit, especially so many young entrepreneurs, thank you for your commitment to the call I issued four years ago in Cairo [on] the need for new partnerships between the United States and Muslim communities around the world. “We do all this because we believe that whether you live in Kuala Lumpur or Kuwait or Kansas City, when you’re free to have your own ideas, pursue your dreams, start your own businesses, serve your communities, it isn’t just good for your nations; it means more prosperity and progress for us all.